Trojan Remover is designed to automatically remove malware (trojans, worms, adware, spyware) from a PC when standard anti-virus software has either failed to detect the malware or is unable to effectively eliminate it. 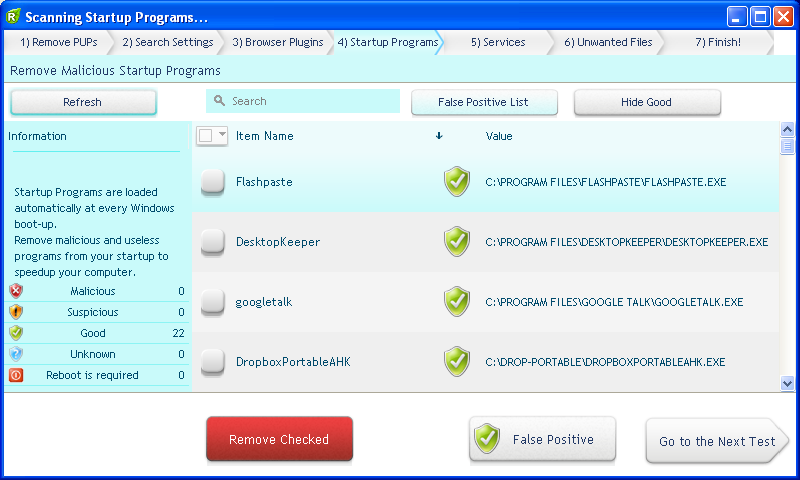 It can also detect and remove malware hidden using rootkit techniques. Trojan Remover can detect and remove malware without the user having to manually edit system files, including the Windows Registry - no need for SAFE mode. 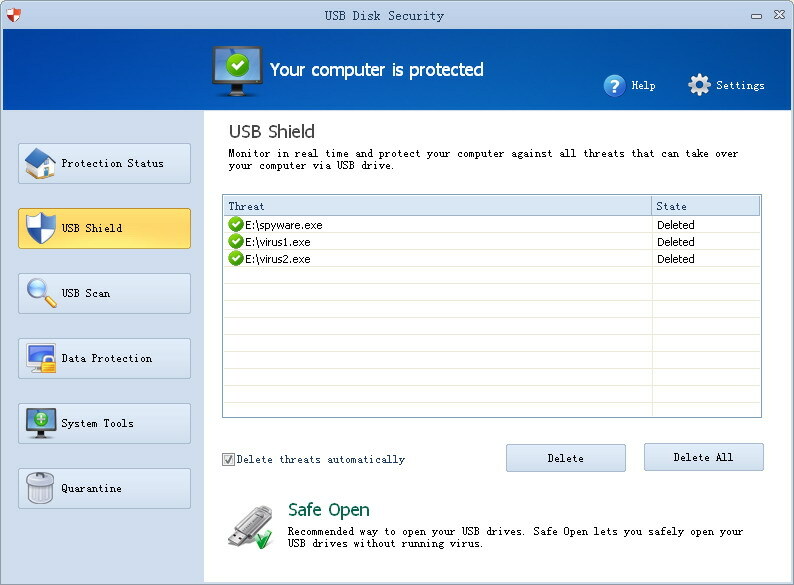 USB Disk Security provides protection against any malicious programs trying to attack via USB drive. It delivers high level of protection against theft and accidental disclosure of confidential data, and prevents unauthorized persons from stealing your data. USB Disk Security is the best security software to protect offline computer without the need for signature updates. 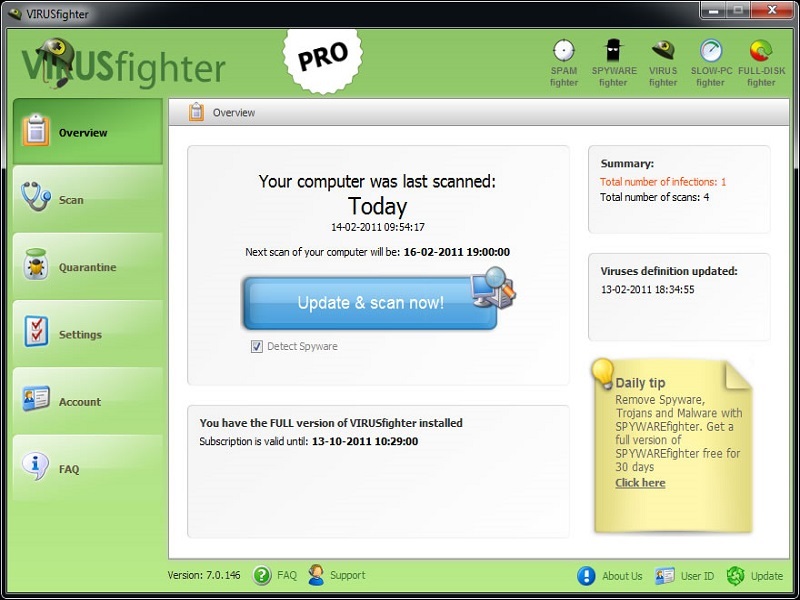 If you need an antivirus program for your Server, VIRUSfighter is for you. VIRUSfighter is a user-friendly antivirus program for Microsoft Windows Server that is easy to install on your Server and gives you the best protection you can get. VIRUSfighter is your protection against your Server being destroyed by a virus. The program is easy to install, and then runs discreetly in the background, watching for threats.